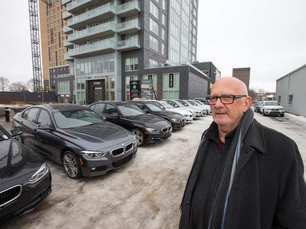 This site has been used as vehicle storage for Otto's BMW Sales Centre and a notice of zoning violation was issued to the owner in July 2016. 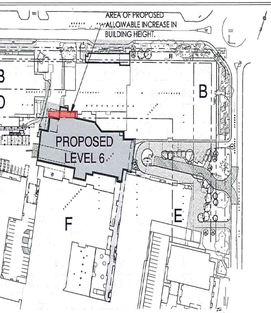 The owner then requested a Minor Variance from the Committee of Adjustment to allow outdoor storage to the site. CHNA, residents and the City Planning Department opposed the application, arguing that the proposed application is not a minor variance and must be treated as a temporary zoning amendment and go through the appropriate process. Additionally, CHNA feels this is NOT an appropriate use for the property and should not be given temporary zoning approval. The Committee of Adjustment agreed and refused the request to allow car storage at 115 Champagne. The owners initially appealed the decision to the Ontario Municipal board, but in May they withdrew their appeal. Late in 2017, the owners submitted a request to the City Planning Department, requesting the site be rezoned to allow the car parking on a 3 year, renewable, "temporary"basis. See details on our Development Applications Page. The COA's decision, CHNA's comments and those of the City Planning Dept can be found below. The Ottawa Citizen article (and the above photo) can be found here. CHNA supports this application, with some suggestions to the builder to pay attention to dealing with amenities such as garbage and landscaping. CHNA's comments can be found in the attached. CHNA has no concerns about the proposal, but once again encourages the applicant to consider a landscaping plan that includes larger trees that would contribute to the city's urban canopy. CHNA's comments can be found in the attached. Loretta Apartments Inc. was approved to subdivide its property ("The Dowsview", formerly known as "Emerald Towers") into two separate parcels of land. One parcel would contain the existing 15-storey apartment building, and it is proposed to construct an apartment building on the other parcel, fronting on Champagne Avenue South. See CHNA's comments to the COA request below..